With Brazil's economy expected to grow at around 7% this year and borrowing costs declining, Brazilian companies are seeking financing for their expansion plans. MMX, a leading metals and mining company, hopes to raise $2.2 billion in a new share sale. Vale, the world's largest iron ore producer, plans to borrow $1.23 billion from the Bank of China and the Export-Import Bank of China to finance construction of 12 new ships to transport ore to Chinese ports. Vale also sold $1.75 billion worth of bonds overseas in September, bringing its total issuance so far this year to $2.75 billion, with proceeds used to finance acquisitions for its fertilizers division. CSN, Brazil's second-largest steelmaker, plans to sell $1 billion of senior unsecured perpetual bonds. Telemar, Brazil's largest fixed-line phone company, was planning a $750 million bond issue maturing in 2020. Taking advantage of lower borrowing costs, the Brazilian government in September reopened its due 2041 global bonds, selling an additional $500 million to yield 5.202%. There were expectations that the government would sell another $50 million to Asian investors under the same terms. Brazil had last come to market in July, with an $825 million issue that yielded 4.547%, the lowest-ever yield for Brazilian paper. The 2041 global bonds were initially launched in September 2009, raising $1.275 billion at a yield of 5.8%. The yield has since fallen to 5.165%. The offering was managed by ItaúBBA and HSBC. Brazil's investment-grade sovereign rating stands at Baa3 by Moody's and BBB- by Standard & Poor's. 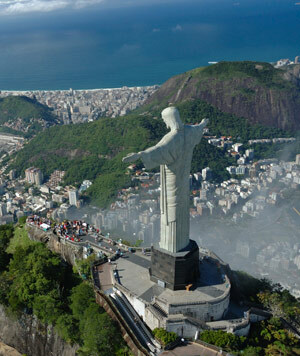 Corporate deals have been dominating recent news in Brazil. 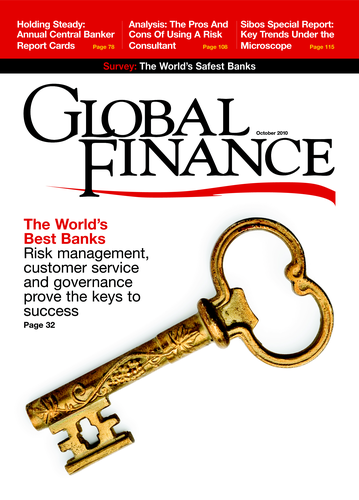 As Global Finance went to press, Petrobras, Brazil's state-controlled oil company, was poised to issue over $70 billion in new stock, with the deal marking the world's largest-ever stock offering (see Corporate Finance, page 134). The deal includes a $42.5 billion oil-for-shares swap in which the company agreed to acquire Brazil's five billion barrels of oil reserves. It also includes the sale of 2.17 billion new common shares, 1.59 billion preferred shares and ADRs for common shares. The swap was expected to boost the government's stake in Petrobras from 39% to 49%. Proceeds from the new stock issue, which was estimated to increase the company's $260 billion market value by as much as 40%, will be used to fund its investment program. Petrobras expects that Brazil will no longer need to import oil once two of the company's new refineries begin production by 2014. Burger King, the world's second-largest fast food chain, has become the latest international acquisition by Brazilian investors. The chain, which has seen declining sales, was acquired by 3G Capital, a New York-based equity firm controlled by Brazilian partners, for $3.26 billion. 3G Capital is controlled by Jorge Paulo Lemann, who founded Brazil's GP Investimentos, Latin America's largest private equity firm, and partners Carlos Alberto da Vega Sicupira and Marcel Hermann Telles. The firm is headed by another Brazilian, managing partner Alexandre Behring. Burger King's new CEO is Brazilian Bernardo Hees, who was formerly CEO of America Latina Logistica, Latin America's largest logistics company and in which 3G Capital holds a stake. 3G Capital paid $24 per share for the takeover, a 46% premium over Miami-based Burger King's stock price prior to the deal's announcement. New owners plan to accelerate the company's international expansion, with more than a third of its 12,100 locations already located outside of the US. Burger King has been publicly traded since 2006. Ruling Worker's Party presidential candidate Dilma Rousseff, Brazilian president Luiz Inacio Lula da Silva's chosen successor, secured her lead for the October 3 first-round election. A survey announced by local polling firm Sensus gave Rousseff 50.5% of voter support, compared with 26.4% for opposition contender Jose Serra, former governor of the State of São Paulo. In August, Rousseff had 46% support, while Serra had 28.1%. Though Rousseff, Lula's former cabinet chief, is also a former leftist militant, she has vowed to continue Lula's economic policies and maintain key members of his economic team in her cabinet. Rousseff is expected to benefit from her endorsement by Lula, whose approval rating stands at 78%. The situation has also shielded her from a corruption scandal launched by accusations from Serra. To avoid a run-off four weeks later, a candidate must receive more than 50% of all valid votes cast in the first round.